Wine of Spain. Smooth & refined. 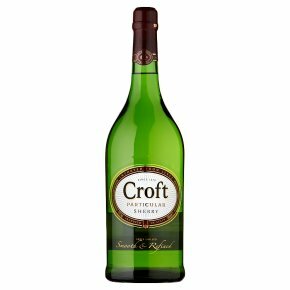 Sherry - White Spanish Wine Croft Particular is a pale dry Fino that, with careful ageing and development, acquires the smooth character of an Amontillado. The result is a refined sherry with a light crisp taste, medium dry sweetness and elegant nutty finish.